Experience the love only a Latin bride can give by joining our club tours to MEET her! The visions and perspectives of people across the globe toward marriage may vary in their own ways. Some consider marriage as a sacred union bounded by unfathomable love between a man and a woman. Others on the other hand, view it as something simple as a contract which only attaches two persons to make them look as one. As time goes by, however, the sacredness of matrimony still lingers in each of us. Single foreign ladies here in Angels of Passion who are intently seeking for love and marriage are women with class and dazzling beauties. These women do not just seek foreign men for temporary attachment; they seek long-term interconnection instead. All the way from Latin America, Ukraine, Russia and Asia, gorgeous women came dashing to find real love. You won’t just discover interesting various cultures in here but one of these women may be your potential foreign bride too. Since this is a multiracial site, marriage in Angels of Passion could be an exhilarating episode ever in your life. Here, you will be given a chance to meet and date the woman of your choice through our monthly Angels of Passion singles tours. By joining us, you are assured of the best experiences you will eternally cherish. Since most people in Asia are traditionally-inclined, Asian countries take pride in its wonderfully-rich diversity in cultures and traditions especially in terms of wedlock. The marriage choices of most Westerners are technically based on the notion of romance and love alone. Yet, in most areas of China, marriage is apparently about family and community itself. One best epitome of this is the parents’ act of taking full control over their children’s decision-making in marriage. This is due to the purpose of keeping the legacy of a certain family within themselves only. This concept does not only happen over Chinese people but also to those folks who are considered the most influential in a particular country. A union like those are often called as arranged marriage. In most Asian countries years ago, people are fond of doing it; however, this practice is slowly vanishing in the present time. Asians have been given the free will to choose whoever they want to be wedded with. Because of this, the idea of fixed marriage has already sunk into oblivion. Like most Asians, Ukrainian people also take pride in emphasizing their devotion to their nation. Traditions and customs in marriage within this state is something you will be amazed of. It has always been believed that marriage between two people will be happier and successful if the couple and their families perform a series of rituals right after the wedding ceremony. When talking about rituals, it boils down to certain actions like incantations, singing of different songs and dancing. If these will not be done, there won’t be considered as wedding. In a wedding table, the main decoration is always a loaf of bread which is surely baked on Thursday or Friday alone. Moreover, bread and towels play an essential role in a Ukrainian traditional wedding culture. On the first night of the newly-wedded couple, they should be given such right after the ceremony. Wedding traditions in Russia is almost the same with that of the Ukrainians from its rite-filled tradition and magic ceremony. However, the difference is that the Russians have often been more less reserved and wild than Ukrainian people. During the old days in Russia, people paid their whole attention to the rites of the wedding which are believed as protectors from the wrecker of the union and even evil doings. These days, as the earth revolves, so as the customs. It has changed a lot in this present generation. The new idea of wedding ceremony is more relaxed than the old one. Nonetheless, most of the rituals are still the same like dancing, singing and sharing of toasts. The only thing that changed is basically the atmosphere. It has become more cheerful than the usual. Before planning a proposal to a Russian woman, you better have an idea of their wedding traditions to avoid cultural differences. In Latin America, wedding traditions are almost identical with that of the Asians--- from the bride walking down the aisle with her father to the rites at the reception. Like Asian marriage, Latin American wedding also has the practice of having godparents during the ceremony. The godparents serve as the wedding sponsors who will lend a hand to the couple financially, serve as guide parents who will give blessings to the newly-wed and act as the givers of advice for the future challenges of the married couple. In addition, the godparents’ vital role is to continue in watching over the couple throughout their lives. In Catholic weddings, the presentation of the 13 gold coins called ‘Arras’ is never consigned to oblivion. The groom himself must present the arras to the bride and her family to show his willingness and determination in supporting the bride with everything. Needless to say, the existence of dancing in Latin American wedding culture is never outdated. It is the most amusing part of the ceremony. In tying the knot with a Latina, you will surely be enjoying a life of contentment with a gorgeous and faithful wife, so as cultural diversities. Meet and greet with our gorgeous single ladies as you take part in our romance tours! What a man wants from a future wife is most of her affection. It’s more likely a woman who will worry about him, love him and not cheat on him even if he’s miles away. 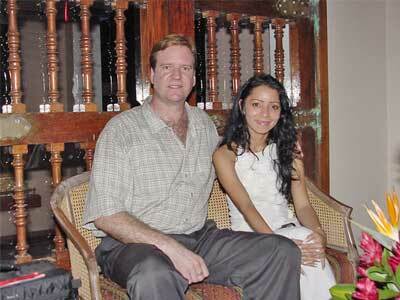 These foreign women seeking marriage are ideal wives because they know how to please men. They always see to it that you are well-attended by them. They make time for you too no matter how preoccupied they are with their work. Undoubtedly, men from all over the world can prove that Angels of Passion single women are beautiful from within. In dating women from here, you will be able to gain a partner whom you want to spend your whole life with! You are assured that the women we cater here are verified and screened thoroughly enough. Meet and acquaint these women on one of our tours! Be sure to have the same intention and goal with these women to establish a good rapport. Worry-free of negative aforethought, Angels of Passion has been yearning for years by helping singles to find their match. Equipped with proper and best remarks, our best Angels of Passion matchmakers continue to lend a hand to every single woman across the globe wishing for genuine love to come inside their opened doors. Register now and let this chance serve as a stepping stone toward a happy and fulfilling life.